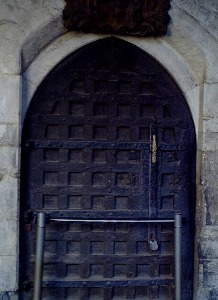 English Heritage is the independent, but government-sponsored body responsible for the historic environment of England. It aims to protect and present architectural and archaeological heritage for the benefit and enjoyment of all. It cares for 400 sites and monuments, most open to the public and the majority free of charge. 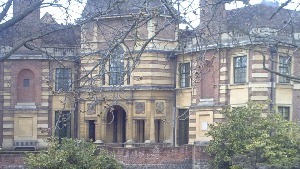 English Heritage is also involved in the listing of buildings and the designation of conservation areas whilst maintaining the 'Buildings at Risk' register. It aims to help preserve the best of the capital's historic fabric in keeping with the demands of modern life. It maintains the National Monuments Record [more info] and is now responsible for Blue Plaques [more info]. 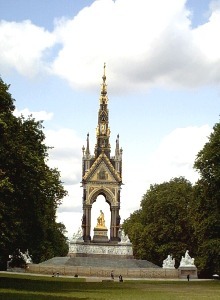 It has responsibilty for 47 statues and monuments in Central London. A free leaflet on the royal statues & monuments is available (tel 0870 333 1181). It produces a number of publications and runs an education programme as well as a comprehensive events programme (some exclusive to members). Membership is open to all and includes a number of benefits including a handbook, quarterly magazines, free admission to all properties plus discounts at other attractions. Also children accompanying members can usually visit free. The London sites are listed below but for full details visit the website. Cuts to funding mean properties have had to reduce their winter opening hours. Between November and March some will only be open at weekends and during February half term. Visit the website to check. Magnificently restored and open to view from the park. The octagonal Chapter House of 1250 has medieval wall paintings & floor tiles and the Pyx Chamber houses Abbey treasures. Open daily 10:30- 6 (or dusk) but closed Christmas/New Year and on some special occasions. A fine Palladian villa designed by Lord Burlington. Exhibition, video and audio guide. Open 10-5 Sunday - Wednesday and Bank Hols April - November. February - March weekends only 10-4. The Italianate gardens are open all year round (free admission). One of the surviving buildings of the original Palace of Westminster built in 1365. A neo-classical house remodelled by Robert Adam and containing an important collection of paintings including the Suffolk collection previously on display at Ranger's House. Events programme including outdoor concerts. Guided tours available for small charge. Shop. Open daily 11:30-4 but closed Christmas/New Year. Free admission. Closed until autumn 2013 for restoration. Grounds (daylight hours) and Brew House cafe and Garden shop remain open daily. 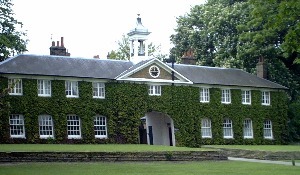 Information on the Kenwood Estate and restoration is available in Mansion Cottage. RANGER'S HOUSE Chesterfield Walk SE10 8QX. Tel 020 8853 0035.